Burn It Down is a muscular tour-de-force, a tornado of pounding drums, pulverizing bass, screaming guitars and in-your-face raw vocals. Evoking the best of 70s Rock, with moments of Birmingham’s finest, blended with the early works of Boston’s best, Burn It Down will do just that: Burn down everything in its path until there is nothing left standing. Recorded in Nashville with Marti Frederiksen at the helm, the band finished their 4th studio album in December, with Anthony Focx once again handling the mix and mastering legend Howie Weinberg adding his magic. 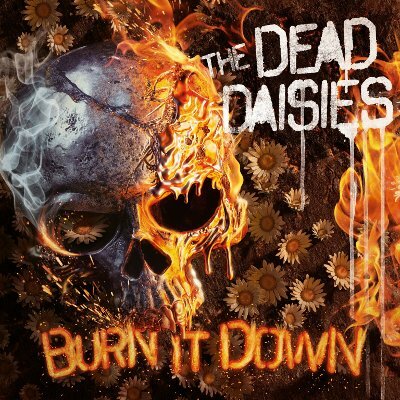 The new Daisies album will melt your face! It is raw and in-your-face with a whole new sound! With Deen Castronovo (Journey, Bad English) joining the bands line-up to record the new Album, The Dead Daisies are: Doug Aldrich (Whitesnake, Dio), John Corabi (Mötley Crüe, The Scream), Marco Mendoza (Whitesnake, Thin Lizzy), Castronovo and David Lowy (Red Phoenix, Mink).